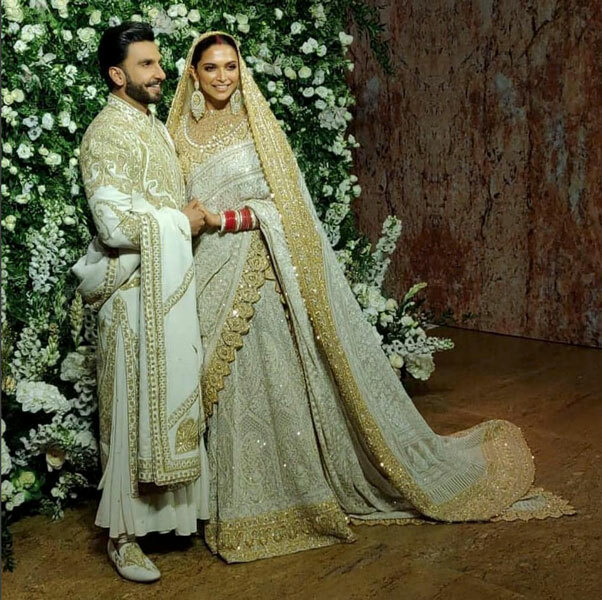 The gorgeous couple Deepika Padukone and Ranveer Singh had their reception (the second reception of three in the city of dreams) in Mumbai and here’s all the gorgeous details! Held at the Grand Hyatt Hotel Grand Hyatt for their close family members and media people. They are scheduled to have another reception on the 1st of December for their industry friends. And man with their looks and gestures, they’re setting both goals and trends! 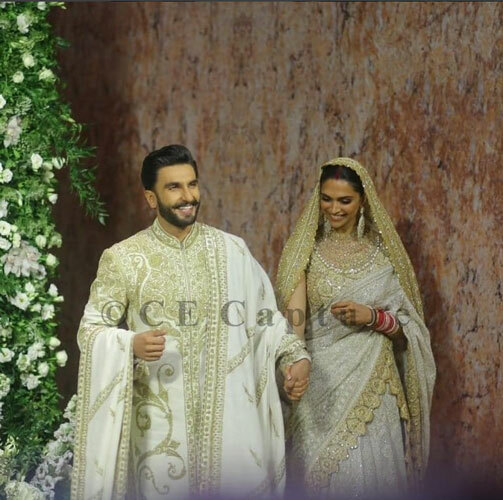 Deepika broke the Sabyasachi streak with this gorgeous white chikkankari attire and their jewellery too while and Rohit Bal was the designer Ranveer went to. Her outfit trail stole our heart, remember how we’ve been telling you its a trend to watch out for from the start? Deepika’s Family stood by their side in the white and gold theme while Ranveer’s family wore gold and black.